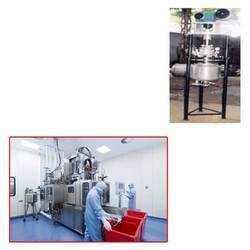 We are the leading manufacturer and supplier of Autoclave Machine for Pharmaceutical Industry to our valuable clients. Since the inception of our company, we manufacture, supply and export the optimum quality of Autoclave Machine for Pharmaceutical Industry. Manufactured as per the industry laid norms, the rendered autoclave machine is known for its thermal stability and rugged construction. The rendered autoclave machine for pharmaceutical industry is rendered by us in user-defined specifications.